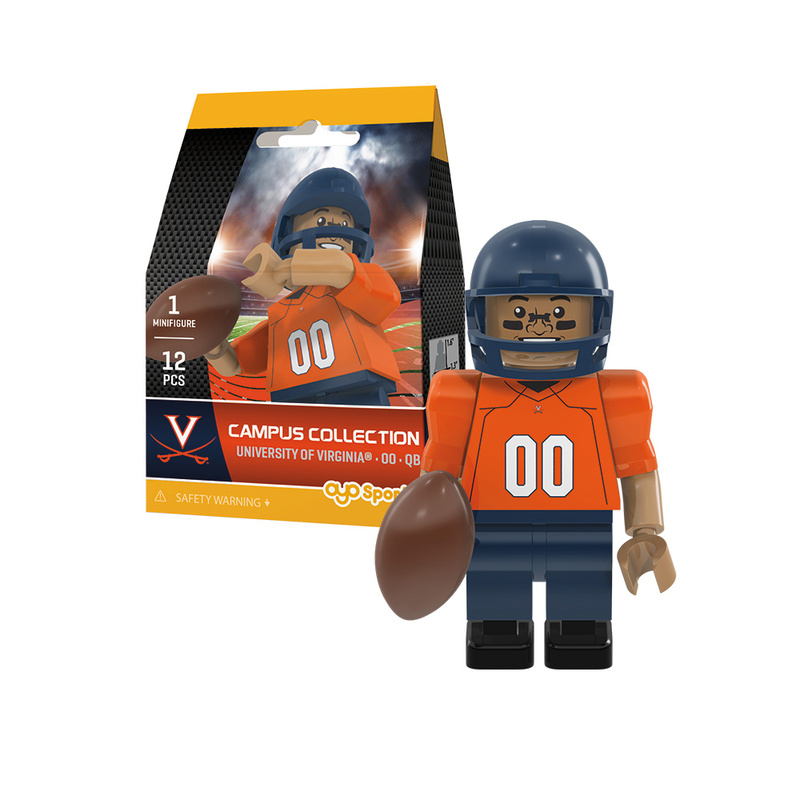 Take the field with your own OYO Sports college football minifigure! Bendable knees and elbows mean that your minifigure is ready to catch a pass or throw the game-winning touchdown. With details and accessories like authentic school uniform, football, helmet, removable face mask, water bottle and more€¦get ready to bring the superstars from your favorite college home to you. The perfect gift for the biggest (and littlest!) sports fan in your life. Key Features: Your minifigure is created to look like your favorite player! Bendable knees and poseable arms allow for real-action play. Accessories: Authentic team uniform, football, helmet, removable face mask and water bottle. Poseable stand with a unique DNA code for your one-of-a-kind minifigure. Compatible with most building block toys.